The aviation network in the UK has the third largest in the world after USA and China according to British Air transport association (BATA). 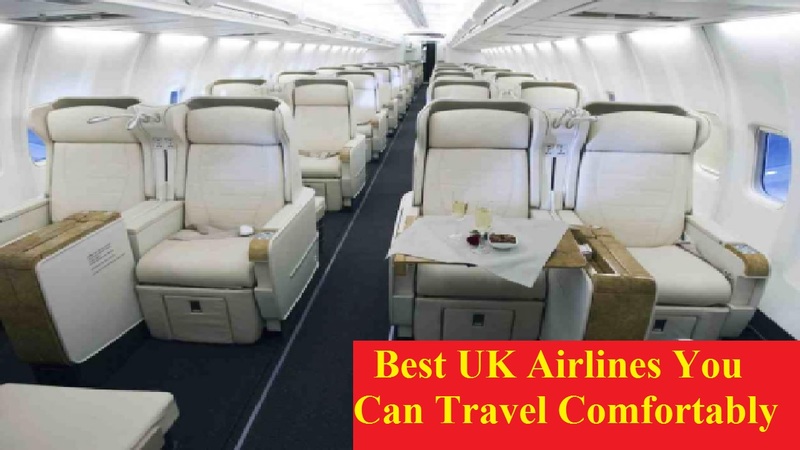 As a result, there are some world class and best UK airlines on the list. After 2006, the number of aircraft has increased to 963 flying for eight hours the daily large number of passengers travel to and from the UK. Also, the aircraft has increased to 963 flying for eight hours daily from the UK to other destinations. Now, the question is that what the top UK airlines are among the huge number. About 138 million passengers are carrying by the UK airline industry. Every year BATA judges the best airlines in the UK. The survey of the best UK Airlines measures nearly 50 different criteria, by analyzing the impression of more than 20 million travelers from 100 countries. Moreover, the elements such as quality of service, boarding assistance along with cabin cleanliness and comfort are all taken into account that is looking at over 100 airlines. But, sadly UK airlines didn’t get into the Top 20 in the world rankings of the best airlines in the world. EasyJet won the Best Low-Cost Airline award while British Airways won the Best Cabin Crew in the UK. Besides, the Best Leisure Airline in the UK was selected TUI Airways, but Ryanair didn’t win anything this year. Almost the same thing happens for the US airlines as well. There is only one airline in the 37th place and that’s Delta Airlines. The best budget airline in the world was Jet2.com, which is based in the UK and it was surveyed by the TripAdvisor. But, the best airline in Europe was selected the Virgin Atlantic. Now, let’s see what the top 10 best UK airlines are on the list. This is the top one among the best UK airlines was founded in 1995 by Stelios Haji- Ioannou. Providing domestic and international services, Easy Jet is the largest airline in the UK in terms of its Passengers volume, passengers uplifted each year. In terms of low-cost airlines, it’s the second largest one in the UK. There are 226 aircraft, 675 routes and 24 bases of the airline. With 675 routes, it’s connected with 20 countries across the world. Moreover, the Airlines bases in the UK and Europe and have around 24 operating. Besides, EasyJet has entered a commercial agreement with Transaero airlines and it’s the largest operator of A319. These all made it top among the best UK airlines. The second best UK airlines are British Airways (BA) that’s UK based and were founded in 1974. In terms of passengers carried each year and is also the largest in terms of its fleet size, BA is one of the second largest airlines. UK passengers like to use the airline frequently. International Airlines Group (IAG) is the parent company of the airline. Besides, Oneworld, airline alliance for world’s frequent international travelers is the member airline of Alliance of BA. Carrying around 1million passengers each year, it’s a wholly owned subsidiary of BA (British Airways), BA City Flyer. Jersey European Airways later changed to Flybe, which was founded in 1979 by Jack Walker. The headquarters of the airline is in Devon and it’s one of the low-cost airlines in the UK. With more than 180 routes and 65 European airports, it provides a scheduled network of services across UK and Europe. Carrying more than seven million passengers in a year, it’s marked as one of the best UK airlines. Also, the airline is facing the challenges faced by the business by adopting the 5C model. As of these aspects and some more, Flybe is one of the top UK Airlines. Richard Branson is the founder of the Virgin Atlantic Airway was founded in 1984. This is a UK based airline. More than 5 million passengers carry the airline each year to around 34 destinations across the world. As Virgin Group is the parent company of the airline, its call name “Virgin” as well. In terms of long-haul airline operators, Virgin is the second largest one. This UK based airline was founded in 1967. It has not changed its name since its inception and it’s the oldest airline in the UK. It’s the UK’s most leisure airlines because it carries around seven million passengers in a year. The airline’s parent company is the Monarch Group, which is UK’s leading Independent travel group. Monarch Airline offers Fleet of size 37 which include Airbus A300, A320, A321 and A330, and Boeing 737 MAX 8 since 2015. It operates the flights across North Africa and Europe to more than 40 destinations. Besides, Monarch offers charter flights to some destinations across the United States, Switzerland, and Greece etc. The parent company of Jet2 is Dart Group PLC was founded in 2002. It’s also a UK based private airline company. As a low-cost British airline, Jet2 offers low fares from seven different UK airports. Its “Friendly Low Fares” tagline is really working for the flyers. There are more than 50 destinations of Jet2 airline and has carried over 30 million passengers so far. It has more than 50 fleets. On the behalf of Royal Mail, these aircraft are also utilized for night flights operated. One of the British charter airlines, Thomas Cook was founded in 2003 based in the UK. Its parent company is Thomas Cook Group and the headquarters are located in the Manchester. Having a Joint Fleet management, the group has Sister Airlines. These include airlines German-based, Scandinavian based and Belgium based. Besides, it flies to Europe, Asia, Africa and America with carrying 6.7 million passengers to 60 destinations. The airline has 32 fleets with different sizes. It’s expected that airlines will acquire other seven A321’s by the summer of this year. This is a Scottish airline was founded in 1962 as an air taxi. It’s a Glasgow based Scottish airline. Logan air focused on the increasing demand for scheduled services leading to the fleet growth, later in addition to air taxi services. As its flight operations both internationally and domestic, Airline is associated with British Airways and Flybe. Since 1979, it starts the operations in Northern Ireland. The airline was taken control by BMI, British Midland International in 1983. Because it’s between Papa Westray and Westray airport, Scotland’s Airline operations include the world’s shortest scheduled commercial route. Airlines also provide Scotland Air Ambulance service and Night mall services apart from scheduled services. This flag carrier airline operates passengers and freight services between continental Europe, UK, and the Channel Islands. It provides a network of scheduled services to 11 destinations in 3 countries in 11 destinations of 3 countries with around 290 staff. The most popular choice for business travelers is the London route of the airline. One of the oldest airlines in the UK, Thomson Airways was founded in 1962. As a result of a merger between TUI AG and First choice Holiday PLC, the airline was formed. But, from 2008, it commenced its operations as Thomson Airways. This is not only the largest charter airline in the world but the best leisure airline as well.